Oyster Eve Chef Patrick Heim of Taste Catering! "Oysters are one of our Gulf's greatest treasures. A versatile product of many coast chefs. It doesn't get more local than this! Embrace this salty pearl of the Gulf waters!" Executive Chef / Owner of Taste! Catering, Patrick Heim took a part-time job as a dishwasher at the age of 14. Over the next few years he set his course for a culinary career. Lacking the financial support to attend a culinary school, he joined the United States Marine Corps in 1989 where he was a food service specialist and attended culinary schools. He is a decorated veteran of Operation Desert Shield and Operation Desert Storm and has traveled the world. 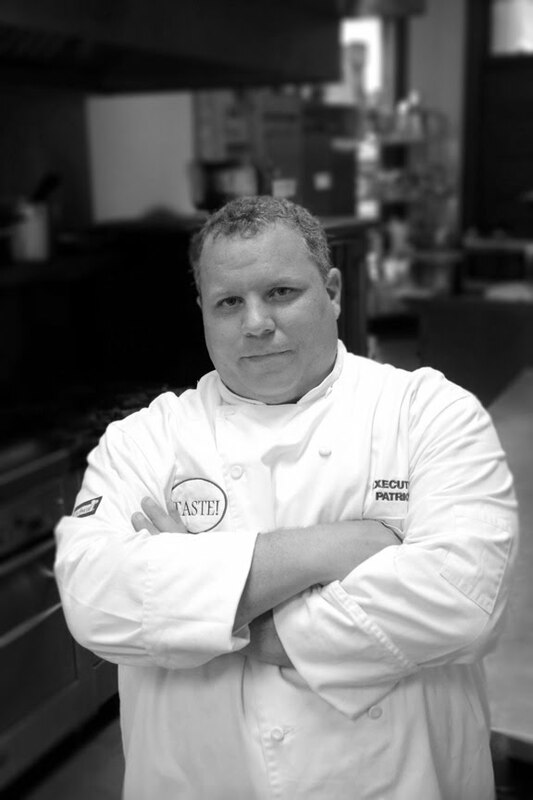 He left the Marines and later accepted a position at the Beau Rivage working for Chef and mentor Vincent Signorelli. Patrick worked for a list of great chefs that include Chef Kim Canteenwalla, Chef Ron Ross, Chef Andrew Smith, Chef Gerald Quick, Chef Tres Hudertmark, Chef David Paul, and Chef Demetrio Vasquez. Patrick learned valuable skills from all of these chefs but credits Chef Signorelli for instilling a "never cut any corners" philosophy which ensures that every event catered by Taste! exceeds client expectations. We are a food driven business first, keeping with the latest food trends and creative ideas at the fore front. "Food should be simple and well-presented with layers of flavoring. Most important, it must be delicious." With his business savvy and roots in Southern cuisine,Taste! has become the choice among many. Taste! Catering provides full off-premise catering services for small and large events. Chef Patrick also provides personal chef services as well as intimate dinner parties.